Attended the CES Round-Up + Future of Voice and Sound event in Clerkenwell this week. The impact of voice on brand health was a big topic and Scott Galloway’s video piece, This Technology Kills Brands, made a re-appearance. In this short excerpt , he shows how Alexa directs purchasers towards Amazon own-brand. 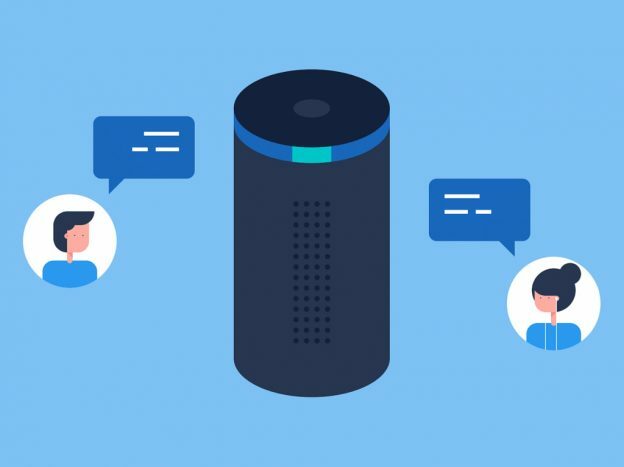 One presenter (@richardhill1234) suggested at least one ingenious way that brands can use voice to connect directly with consumers using the Alexa Skill, Send Me a Sample. From mymodernmet.com. A photographer travels Europe to document the beauty of abandoned buildings. Great Vimeo, Pick Of The Week. ‘Japan – Neon’s and Sakuras‘ (a flowering cherry tree) by Oliver Astrologo. From the UK charity Refuge. Released around Valentine’s Day this reversible poem, shines a spotlight on controlling behaviour and domestic violence – If your partner turns on you, turn to us. And here, Norfolk and Suffolk Constabularies have joined forces for the #ThisIsNotConsent campaign. ‘Everyday scenarios take a sinister turn in a series of disturbing films made by police forces to highlight the issue of sexual consent.’ (this video contains scenes that some viewers may find upsetting). Friend of The Filter @davidepearlhere, curates an excellent regular newsletter and this week’s edition is particularly good. David’s new book Wanderful, Sat-nav for the soul is being crowd-funded and is 97% there. Would be great if we could get it over the line :o) I’d also like to link to this to article by, another friend, Justine Clement (@JustClembo) – The Life-Changing Magic of Noticing. Lego and Snapchat have opened a, real, clothing store with no clothes in it. “They’re more attractive than real boyfriends.” Inside the weird world of Chinese romance video games. From Wired – ‘In China, love and romance designed by women for women could be the next video game trend. After nearly 16 years out of the advertising business, filmmaker Sir Ridley Scott has brought his grand vision to two high-profile ad campaigns. The first was an adventure film for Turkish Airlines, which was teased during the Super Bowl. The second, more impressive piece, ‘grabs the viewer with Scott’s signature other-worldly vision – a visually rich film for Hennessy X.O, ‘The Seven Worlds’ (4″,06″) which will have a brief presence during the Oscars.’ If you are pressed for time, check out the wonderful Number 6 – Wood Crunches, at 2′,48″ in. A Clockwork Orange (behind the scenes). ‘Unreleased’ VR footage of “A Clockwork Orange” (Stanley Kubrick / 1971). 3’14” long. May take a little time to load, but worth it. Auckland Transport have teamed up with iconic Hollywood stuntwoman, New Zealand’s raised Zoë Bell, to spread the message that ‘no one is invincible’, behind the wheel. During filming, the footage shows Zoë driving, sipping her coffee, applying lipstick and checking her appearance in the mirror. As she discusses her varied stunt career with the camera, she effectively becomes more and more distracted from the road. Reckless? All is not as it seems….